If you like saving money , you're going to love WholesaleSockDeals. 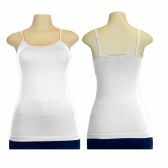 We offer deep discounts and fast reliable shipping on hundreds of styles of ladies camisoles including, Wholesale womens colorful tank tops with built in shelf bra perfect for layering or to wear to the gym and wholesale womens neon colored mesh sleeveless tanks with breathable quick dry material. 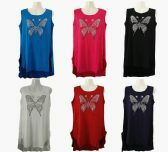 Save on wholesale sleevless tank tops with fun design like skulls and butterflies or cool graphic prints with rhinestones, Wholesale ribbed cotton tank tops in a variety of colors, Wholesale Plus Size ladies seemless camisoles to give you a smooth curvy look under any shirt or dress. 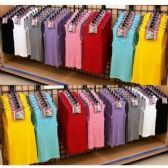 Our Wholesale tank tops with adjustable straps come in many styles like solids, stripes and prints. 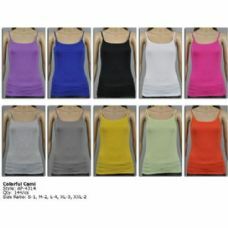 Camisoles are a style staple that no woman can live without! Designed with adjustable straps and soft, stretchy fabric, it promises a barely-there fit beneath your fave sheer tops or all on its own with some well-chosen accessories. 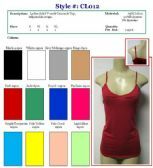 Get wholesale ladies camisoles at low prices, perfect to start off the season right. When you shop with wholesalesockdeals you can be assured you're getting the very best style and quality while saving a bundle. Wholesalesockdeals is todays one stop shop for all of this years newest trends. 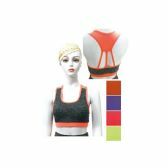 We offer outstanding quality wholesale ladies apparel at super low prices as well as fast reliable shipping and excellent customer service. We are proud to work closely with many government operated agencies like hospitals, schools, correctional facilities, charible organizations and fundraisers around the country , providing them with the low prices they need. Many party planners and fundraiser coordinators shop with wholesalesockdeals to get great savings on promotional giveaway items . Shop with wholesalesockdeals now and start saving! 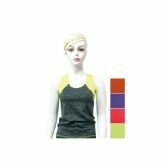 Wholesale Ladies Camisoles, Wholesale Ladies Tank Tops, Wholesale Womens Stretchy Camisoles, Bulk Womens Gym Tank Tops, Wholesale Womens Mesh Workout Sleeveless Shirts, Wholesale Ladies Summer Tank Tops, Wholesale Racer Back Tank Tops, Wholesale Layering Tank Tops, Wholesale Womens Rhinestone Camisoles.